The Audi A3 is offered as a sedan, convertible, or 5-door Sportback. Power comes from a 2.0L turbocharged 4-cylinder with 220 horsepower and 258 lb-ft of torque. The Audi A3 sends power to all four wheels via quattro all-wheel drive, though front-wheel-drive versions are available as well. 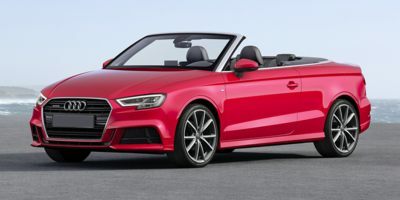 A high-performance version of this same engine powers the Audi S3, where it makes 292 horsepower--enough to go from 0 to 60 mph in 4.7 seconds. The RS3 comes with only an all-wheel drivetrain, and is powered by a 2.5L turbocharged 5-cylinder engine that makes an almost-unbelievable 400 horsepower.